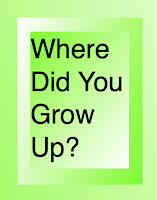 Shared Vision DFW: Where Did You Grow Up? Did you grow up in a cubicle? Did you grow up without inspiration? 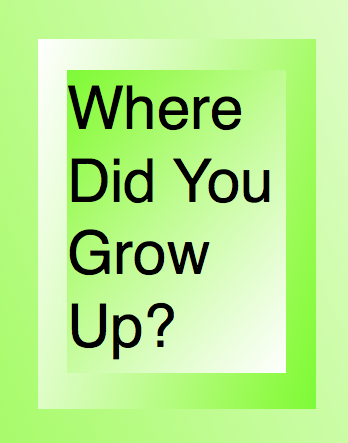 Did you grow up without creativity? Do you know how to enjoy a museum, a dance concert, a symphony or string quartet? Then what are you doing on this earth? Do you enjoy a large vocabulary? Do you read great literature? Do you know the history of man through anthropology? Have you seen the original creative spirits? Are you just a bean counter? Do you hire a lot of bean counters? Do you really think “he who dies with the most” wins? Do you practice business with a generous spirit? Can you make money following the rules that are in place for everyone? Do you need special rules, special concessions, special tax breaks? Does your business uplift humanity? What are you truly investing in? Do you just live for now? Do you just live for yourself? Is your life enriched or just rich? What makes you think you are superior?